１.BE A SUPERMAN　lyrics & music by R.S./Y.T. ２.NANGA DEF? 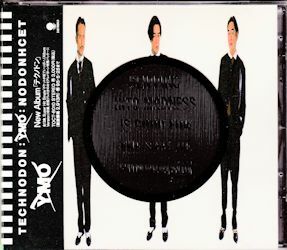 music by YMO　lyrics by R.S. ５.HI-TECH HIPPIES　lyrics & music by Y.M.O. ６.I TREMERLI　lyrics & music by Y.M.O. ８.SILENCE OF TIME　music by R.S./Y.T. lyrics by R.S. 10.O.K. music by H.H./Y.T. lyrics by H.H.